Facebook ushered in a whole new phase in its history with the announcement of real-time media sharing Thursday. Most of us have used Facebook primarily as a communication and scrapbooking tool until now, but we may find ourselves consuming and sharing a lot of music and video there in the future. As Mark Zuckerberg puts it, Facebook users have gotten used to “liking” content they think is cool or interesting, but now they’ll be able to click on that content and actually go listen, watch, read or play it. It’s a huge shift in the way we’ll experience Facebook. Yesterday, when all this was announced, much of the focus among tech media and analysts was on the face-value appeal, the cool factor of Facebook-as-real-time media-hub. But, naturally, the initial buzz of the new features wears off, and then it’s time to think about shortcomings, flaws, potential problems. Facebook will now let me see the media my friends are consuming, in real time in the new “ticker” at the right of the page. Fine. But wait, what if I don’t want all my friends on Facebook spamming me (in the ticker) with stuff they’re watching, cooking, or listening to? 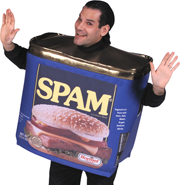 “Spam” is a hard word, but some of my friends, while I love them, have horrible taste in music and/or videos and/or food, and I’d rather not know what they’re listening to, cooking and watching. So those items in my ticker will feel like spam to me. A Facebook spokeswoman tells me the only way to keep those “Josh is listening to ‘Cherry Pie’ by Warrant” or “Josh is preparing Tripe L’Orange” messages out of my ticker is to hide Josh’s updates in my newsfeed. But I don't have a problem with Josh’s updates--I want to keep tabs on him--I just don't want to know about his music/movie/foody tastes. He simply isn’t a “taste maker” for me in those areas. While I was getting the one-on-one demo of the music apps in Facebook, I noticed an interesting thing. When the Facebook guy giving the demo clicked on a song that one of his friends was listening to on Spotify (Facebook’s marquee music partner), the desktop Spotify app popped up to play the music. He told me that there is no “canvas app” for Spotify, which, he explained, means that there’s no Spotify app that runs entirely inside Facebook, like Farmville. That means you have to have both the Spotify desktop app and Facebook running to achieve the cool music sharing/syncing tricks shown at f8 today. 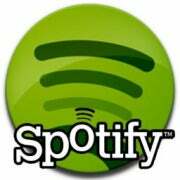 I hope a real Spotify Facebook app emerges soon. Facebook’s Timeline is supposed to “tell your life story” by choosing and displaying important photos, updates and “likes” from your years of using Facebook. It determines what content is important and not important by the number of “likes” or comments it got when it was posted, a Facebook rep told me. But Facebook’s algorithm will never be as good as my own judgment and memory when it comes to determining which of my posts are most important--the ones that document some life-changing event or ones that express something uniquely me. I remember these events or posts, but Facebook provides no way for me to search through all the content I’ve stored in Facebook to find them. It’s surprising that something so obvious and basic did not end up in the Timeline feature. Hopefully it will be added in an update later. But there are ways to control what content is displayed in your timeline. You can remove the content Facebook finds and places in your timeline, or you can affix a “star” to pieces of content the algorithm found that you think are really important. Facebook also provides some cool ways of showing only specific kinds of content--the music you’ve liked or posted about down through the months and years, for example. Facebook is creating a platform where you can find out about new content of all kinds from your friends, and even experience that content in real time with them. From a user point of view that’s a pretty cool thing, but with Facebook putting itself in the center of it all as intermediary gives it an extraordinary amount of power. Why? Because every song or movie (or book or news article or game) you like or consume is associated with your Facebook account and carefully logged in your “social graph” on Facebook’s servers. If it were just yours or my musical interests it wouldn’t be a big deal. But Facebook will be learning and recording the tastes and buying habits of huge blocks of users with similar tastes. Even if that information is kept as anonymous, aggregate buckets of data, all kinds of content sellers can learn a lot about what kinds of users buy what, and when and where and why. And why wouldn’t Facebook share that information with its partners like Spotify? They’ve shared user data with app partners before. What law says that Facebook can’t directly associate your Facebook ID with your "taste" data and sell it to the highest bidder? Is “opting out” of Facebook media apps the only way to prevent this? As for the feature omissions I mentioned above, there’s a good chance Facebook will build them in over time. Meanwhile, the privacy community (privacy groups, educators, lawyers, pundits, etc.) will give the new timeline and media sharing features a good going-over, and squawk loudly about the parts it believes expose sensitive user data. Then Facebook will act contrite and announce that it has corrected one-tenth of the problem, leaving most of the user data in question still exposed. Then Facebook will do it all over again with the next new set of features. Why does Facebook do that? Because that is the Facebook way.